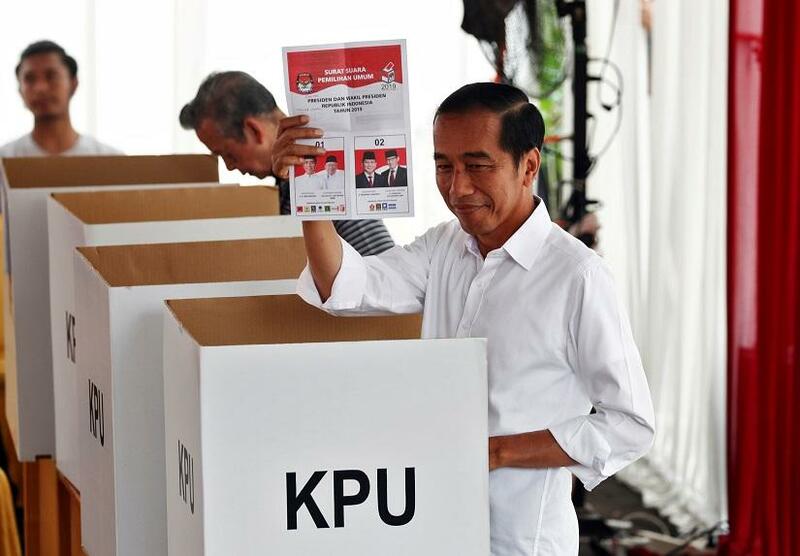 Early results from Indonesia's election on Wednesday showed President Joko Widodo with a comfortable lead, in line with opinion polls that had predicted the low-key reformist was heading for a second five-year term. "We are not claiming anything yet," CSIS Executive Director Philips Vermonte told Reuters. "The data will likely stabilise at 90 percent. Our staff are validating the data." 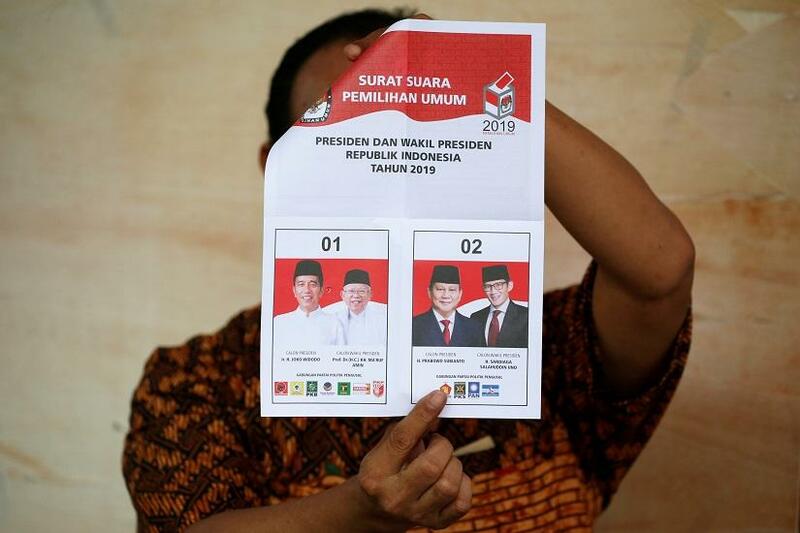 Asked to comment on the "quick count" results, Prabowo campaign spokesman Dahnil Anzar Simanjuntak said that numbers based on 50 percent of votes was not enough. "We will wait," he said. However, even before the election, the opposition alleged voter-list irregularities that it said could affect millions and vowed legal or "people power" action if its concerns were ignored. "I hope in future prices of staple foods will be cheaper, especially as we are heading into Ramadan and Eid al-Fitr," said Nurani, a 41-year-old mother of three, voting in Bandar Lampung in Sumatra. But religion was also a factor in the election in the world's most populous Muslim-majority country, where conservatives have been increasingly influential.